“The hardest part about retail is that you’re always on call,” muses Roger, co-founder of Pleasant Pops. “I work way too much.” He’s a self-taught entrepreneur: With virtually no previous experience in the food industry, Roger and his business partner created D.C.’s premier popsicle destination. Roger breaks down popsicle culture. 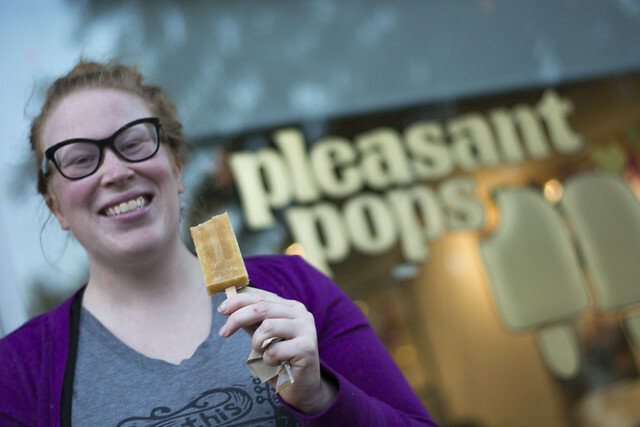 Pleasant Pops started small, borrowing kitchen space and schlepping frozen desserts to the Mt. Pleasant Farmers Market. 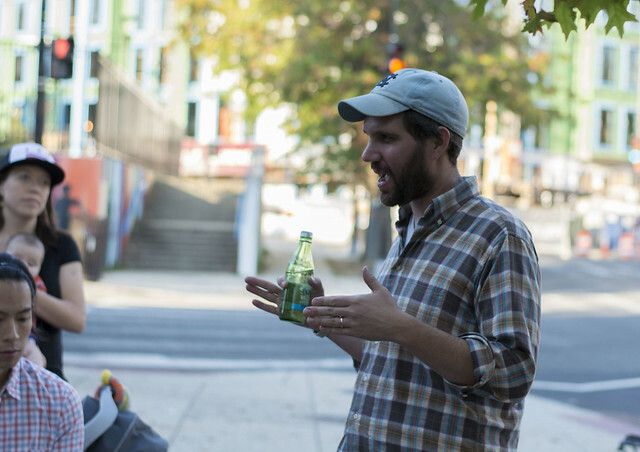 Over several years, Roger has helped build the business into a thriving mom-and-“pop” shop with retail space in Adams Morgan and downtown. On Sunday, October 16, KCDC got a behind-the-scenes tour of Pleasant Pops. 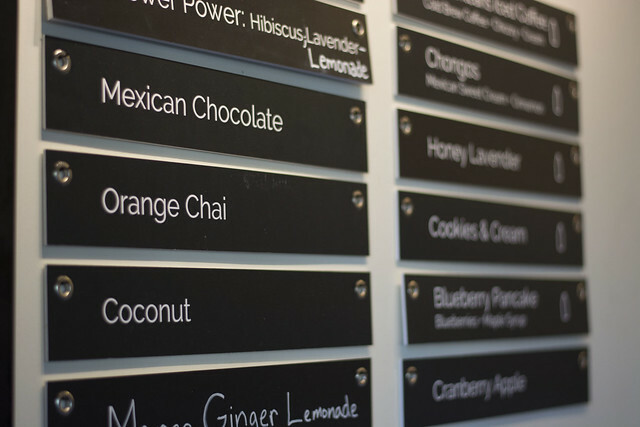 While Roger shared his experiences founding and growing the business, we also sampled many of the shop’s exotic flavors, including Mexican chocolate, blueberry pancake, and — most popular of all — strawberry ginger lemonade. The pop menu features creative new flavors alongside longtime favorites. Hire based on personality, and then train. Practical experience is more important than an MBA. Check to make sure it’s plugged in before you call the electrician. 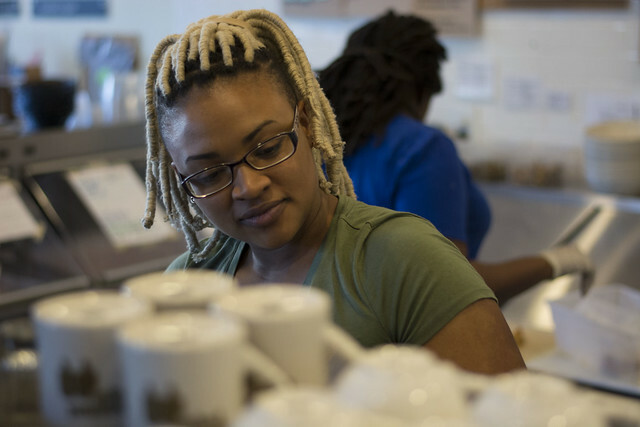 Employees are the backbone of any small business. Roger’s biggest challenge? Spending too much time working in the business and not on the business. It can be hard to find time to develop a new marketing strategy or conduct a cost-benefit analysis of new equipment when the toilet stops working and the plumber can’t come in until next week. Needless to say, Roger has learned to fix a lot of things himself. He has, however, had his fair share of luck over the years. Like when he found someone who was interested in buying his old ice cream truck … on Craigslist (where else?). Or when President Obama and his daughters visited the store for Small Business Saturday in 2015. For weeks afterward, new customers traveled from miles away, determined to taste these presidential pops. It’s been a road filled with adventures and challenges; every summer, Roger and his team ask themselves if they’re still passionate about keeping the business going. Fortunately for us, these pops are special enough to be worth the effort. Pop a smile on your face and support a local business at the same time. Ari Hock develops digital strategy and manages the social media channels at KaBOOM!, the national nonprofit dedicated to making sure all kids have opportunities to play. He’s led a discussion about the role of Twitter in the 2016 election at the University of Maryland, and he has at least three social media accounts with fake names.